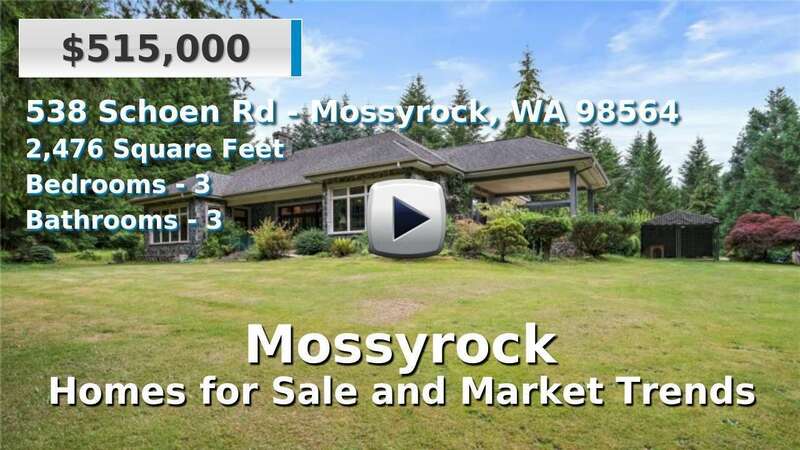 The small city of Mossyrock has about 800 residents within city limits and many more in the rural countryside. This area is known as the "Heart of Lewis County" and is centrally located between the cities of Longview and Olympia. It is also situated between the popular recreation destinations of Mayfield and Riffe Lakes. Homes for sale in the area are largely older than the state average. The Klickitat Prairie has long been known for its fertile soil and hunting/gathering ground; farming and country living are still the ways of life for many residents in Mossyrock today. Neighboring communities include Salkum, Cinebar, Onalaska, and Morton. 3 Beds | 0.75 Baths | 781 sq. Ft.